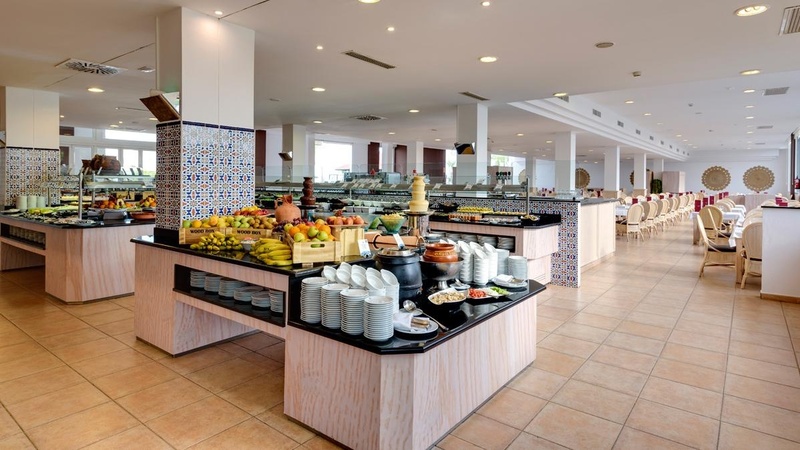 The Sentido Garden Playanatural Hotel & Spa is a doorway to the best kept paradise of Costa de la Luz. 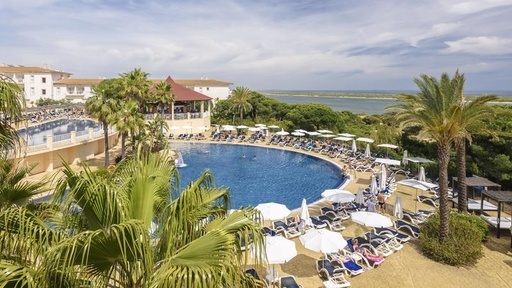 This Adults Only hotel in El Rompido lies close at hand from the stunning unspoilt La Flecha beach, the most beautiful and best preserved beach of Cartaya. A place full of harmony where times goes slowly, sun shines with fierce and the sea becomes an oasis of peace. 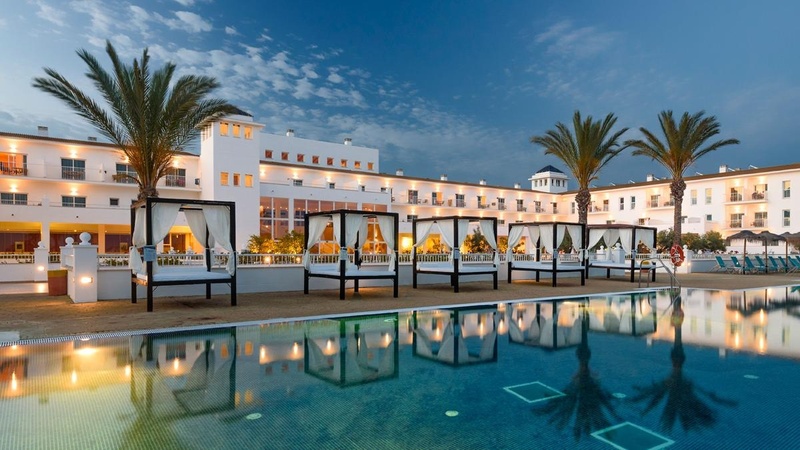 Garden Hotels invites you to this exclusive spa hotel in Huelva. 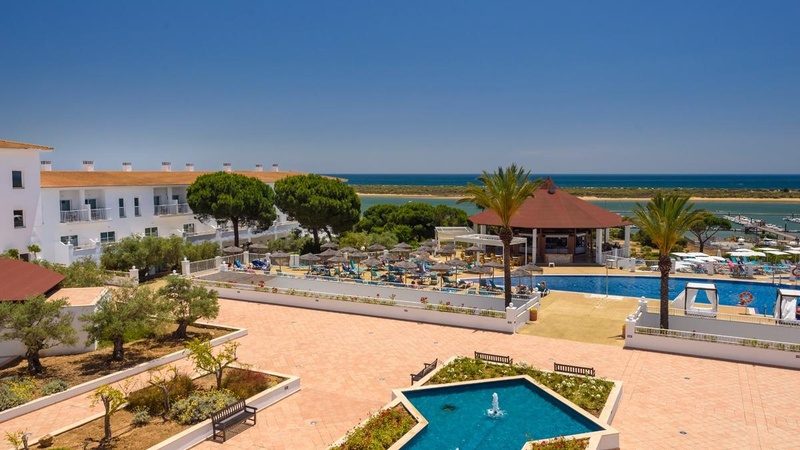 An endless range of options designed for you to organise your Adults Only holidays in Costa de la Luz your own way. 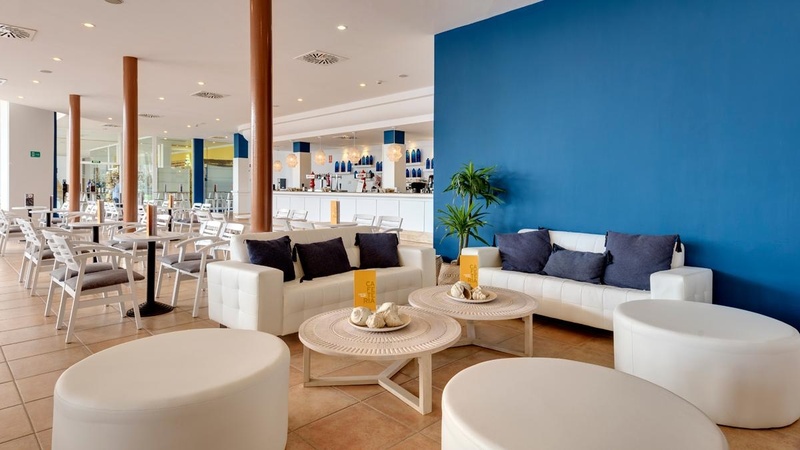 Enjoy your favourite sport at the shores of the Atlantic, relax under the sun on comfortable deck chairs, dance until sunrise in our parties, have fun with your friends and enjoy unforgettable moments. 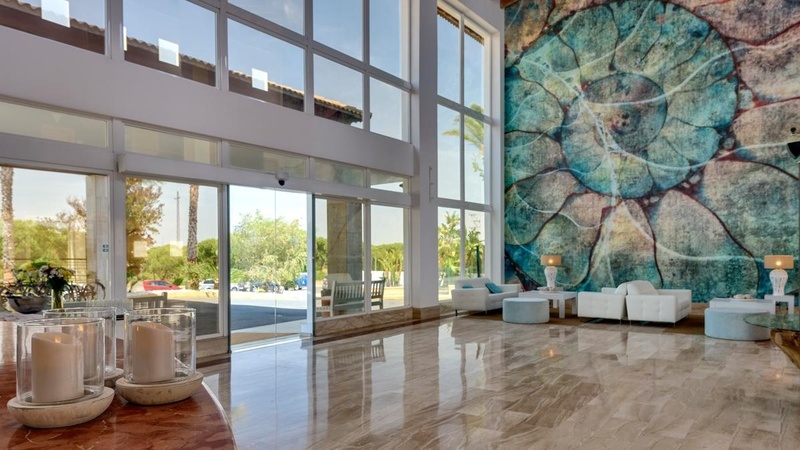 The hotel's 230 rooms and junior suites in La Flecha of El Rompido will be the perfect setting for your relaxing and resting moments. These spacious, well-lit accommodations with modern furniture and exclusive design offer you all type of services: free Wi-Fi, TV, telephone, private terrace with views... and even an accommodation for pets of up to 15 kgs for 10€ per day. 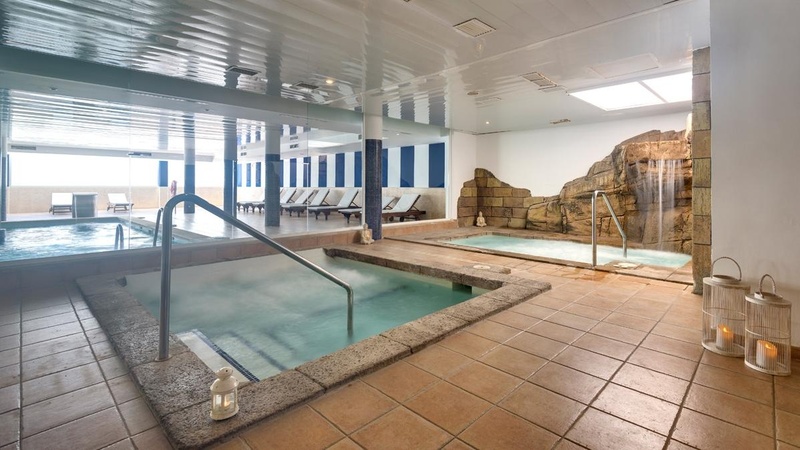 Make a reservation on the official website of Garden Hotels at your spa hotel in El Rompido and discover a space where health, wellness and nature come hand-in-hand. 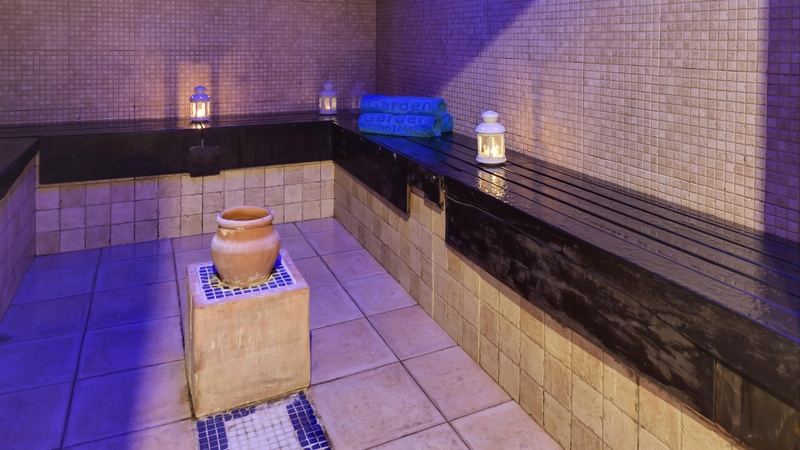 Sauna, massages, wellness circuit... 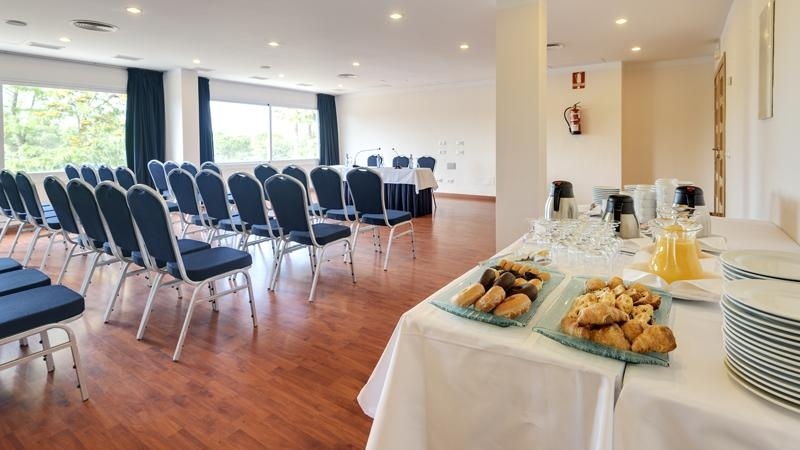 Your oasis of peace in Huelva is waiting for you. At the best price online guaranteed and with the best personalised attention. 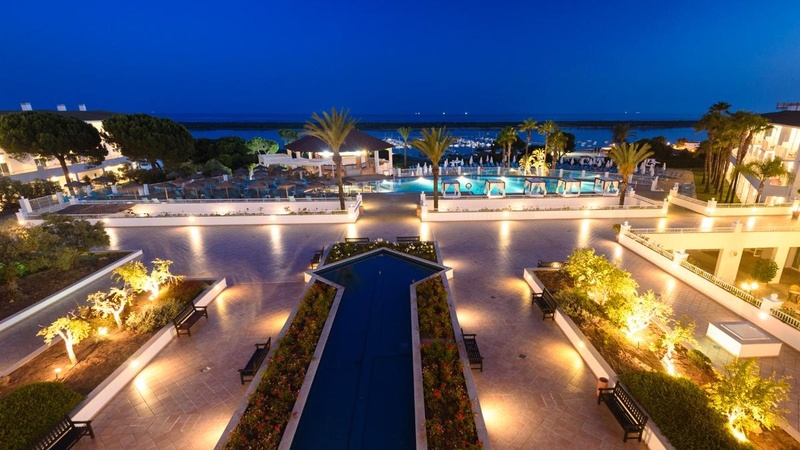 You don't have to wait any longer to book your next holiday at the spectacular SENTIDO Garden Playanatural Hotel & Spa. 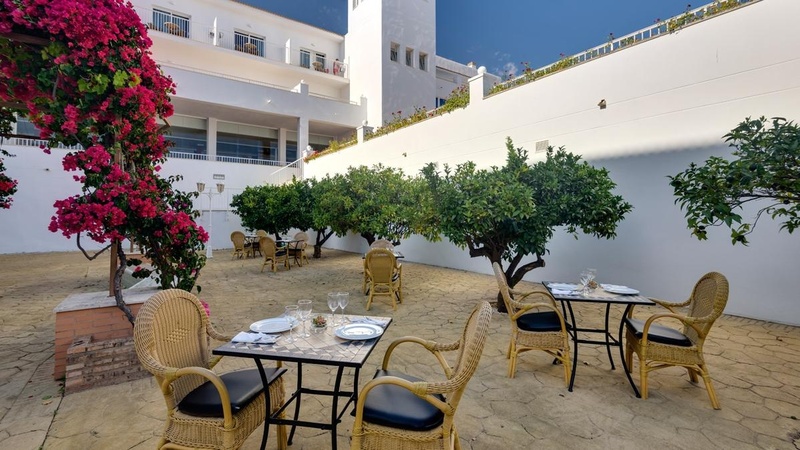 Come and stay with us from the 1st of May 2019 and enjoy an unforgettable holiday at the best price by booking via the Garden Hotels website. 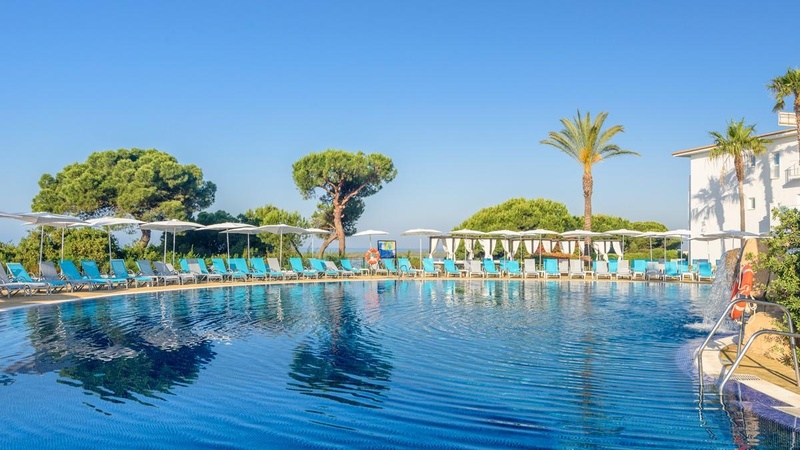 Fully refurbished facilities and exclusively designed for adults in a stunning destination with the very best in services and exceptional standards of quality. Book now! Book your 2019 holiday now with up to 15% discount and get ready to have fun! Set amid scenery of breathtaking beauty, El Rompido is the perfect choice for true lovers of nature. 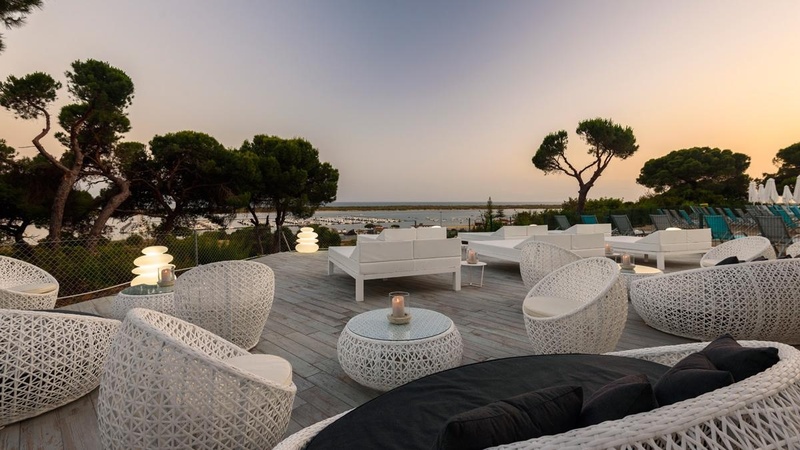 Indulge in the luxury of contemplating the perfect sunset as you gaze out over the River Piedras estuary, sail along the channels that crisscross the marshland or relax in the spotless sand dunes. 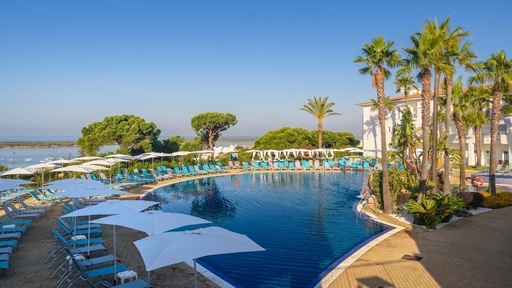 Treat yourself to an unforgettable experience, bathed in the unique light of Huelva’s coastline, or share it with your partner or friends. The town of El Rompido stands halfway between the boroughs of Cartaya and Lepe, at the mouth of the River Piedras. Home to an ancient fishing harbour, it boasts a long-standing seafaring tradition and has bred many fine sailors. Yet it has also been blessed with more than 10 km of peaceful, unspoilt beaches bathed by calm, crystal-clear waters, separated from the Atlantic Ocean by a unique sandbank and dune system known as La Flecha de El Rompido, and which has led to the formation of the River Piedras marshlands. This fabulous spot offers countless leisure and sports options. 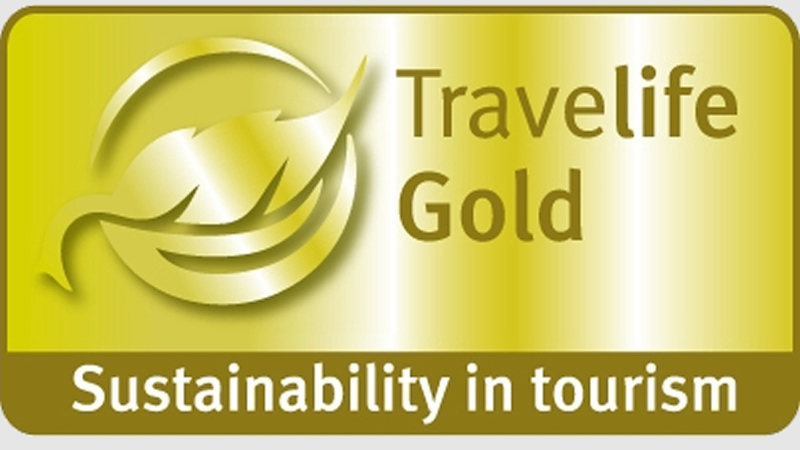 Take advantage of the specially designated trails to explore the stunning coastal scenery by Segway, bicycle or on foot; kayak or canoe down the River Piedras; enjoy sailing, windsurfing, water skiing, wakeboarding or a boat trip in the Gulf of Cadiz, or sharpen up your swing on the golf courses situated just a short distance from the hotel. 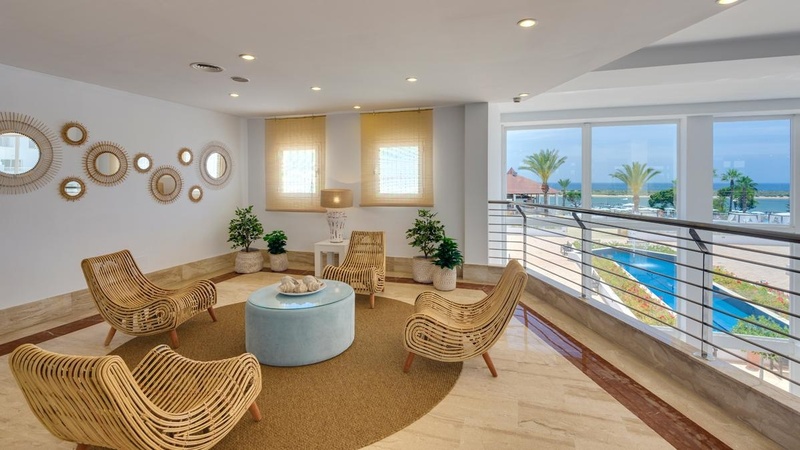 Local facilities also include a sports centre, water park and the Cartaya Karting Complex. The area known as the Dehesa de San Miguel, that surrounds El Rompido, was declared a Protected Natural Space in 1989 and is also a Special Protection Area for Birds. They are home to species such as the osprey, the common whimbrel or the ruddy turnstone. They are also the breeding grounds for numerous migratory species such as the western marsh harrier, the Caspian tern and the little tern. As for reptiles, chameleons are probably the most characteristic sight. In Europe, these intriguing creatures can only be found on the coasts of Andalusia and Murcia in Spain, and on the Portuguese Algarve.